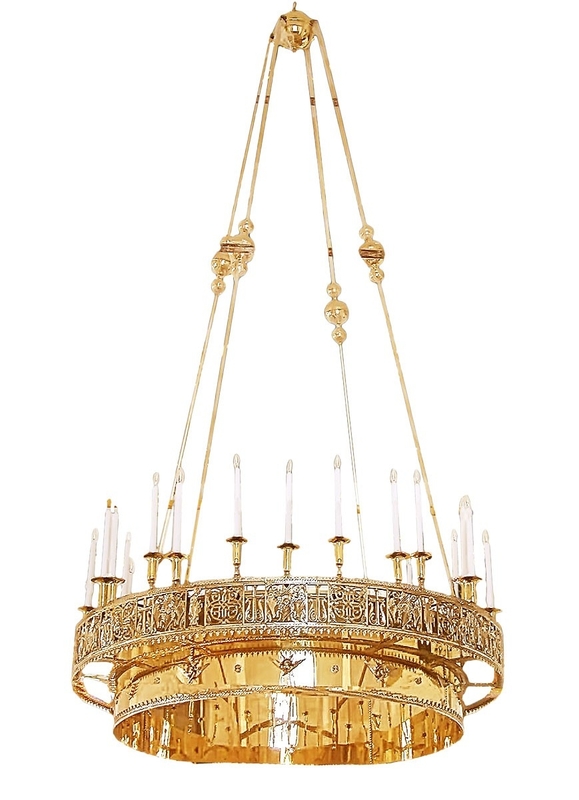 Greek Orthodox horos - 131 (24 lights) - Istok Church Supplies Corp. 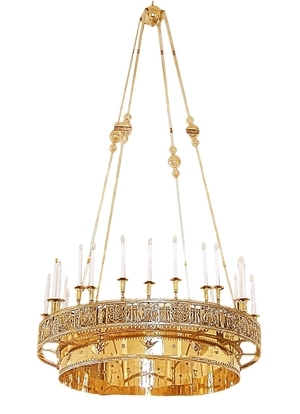 Traditional Greek Orthodox horos (30 lights). Solid Russian-made product. Brass, hand-casting and hand-polishing. Diameter: 52.8'' (134 cm), height: 0.0'' ( cm).